What a fun math activity for kids! Students spend time building with Lego pieces. 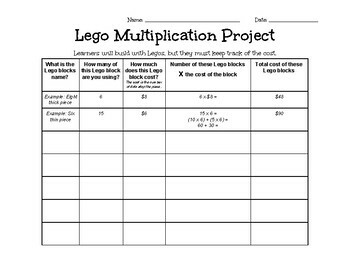 Then, each piece is given a cost (based upon the number of dots atop the Lego piece) and students work to calculate the cost of the piece they've built. Use this template to keep student's thinking organized.